When this hat was designed the maker could not have imagined it would ever be worn like this. Using a hair elastic to a fix it to his hair is truly inspired, as is wearing fur with this summery outfit. 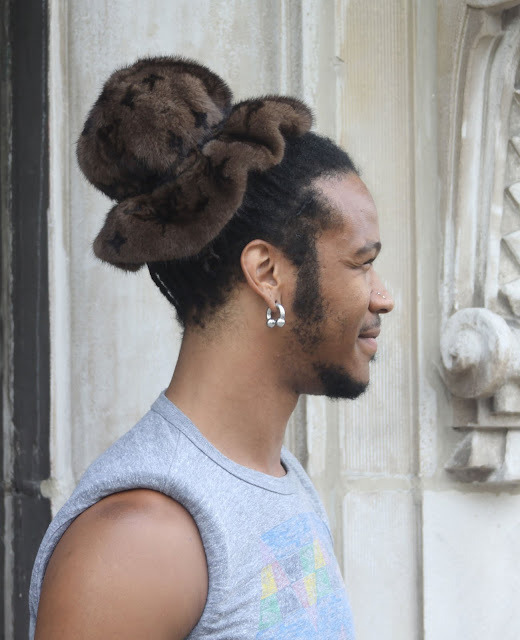 I love how he has taken this luxurious item made for a specific purpose (a ladies cloche hat intended for use in the winter) and turned into something completely unique and his own.